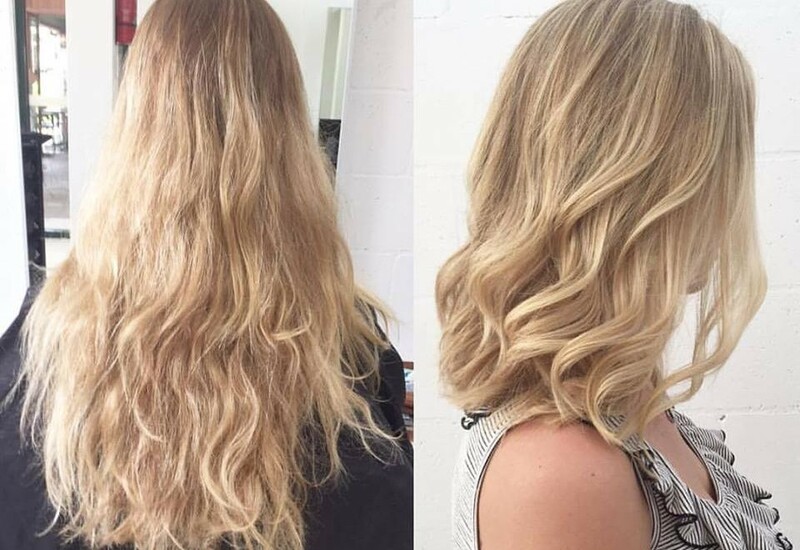 Everyone loves a good cut and colour transformation. 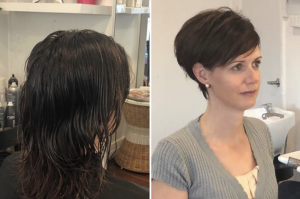 If you’ve been thinking of making a change to your hair, take a look at some of our favourite hair makeovers by the TWIDALE team in Brisbane. This lovely lady came to us wanting to refresh her colour. 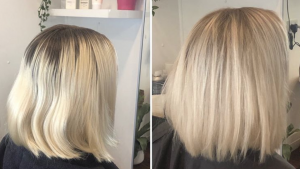 We used a soft ombre melt to blend her root colour into her gorgeous blonde hair, and we also made sure to balance out any yellow tones that were starting to appear. The result? A natural-looking, enviable pastel blonde with texture and shine. We loved creating this sophisticated and edgy look for the beautiful Natalie Long, featuring an expertly shaped bob with a sneaky undercut. We also worked in a soft root stretch to blend Natalie’s natural dark colour with some cool ombré tones. This way, Natalie’s colour will be low maintenance and won’t require touch ups as often. We’re pleased to say Natalie loves her new look and thinks this is her favourite one yet! 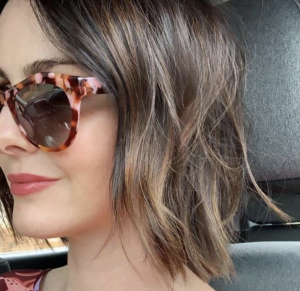 Sarah Wills, one half of the national breakfast radio show Those Two Girls, came to us to give her previously always black hair some Jenna Dewan-inspired colour. We gave her some soft highlights in warm chocolate and golden tones for shine and dimensionality. There’s nothing like a cute crop to celebrate coming into the warmer months. Just before Summer, we gave this gorgeous lady a fresh cut and colour to last her through the holidays. We love how this shape frames her face and accentuates her beautiful big eyes. We love seeing the final result of these subtle golden highlights added to one of our brunette babes. These Summer-inspired warm highlights add dimension to her hair, making it look thick, healthy and luscious. Because they’re so delicate and soft, these highlights make for a low-maintenance, easily manageable colour transformation. Needing a Cut and Colour? If your hair is due for a refresh, you can book your next cut and colour by getting in touch with our team. Our professional hairdressers love nothing more than making our clients feel gorgeous. We’ll work with you to create a hairstyle that accentuates your natural beauty and makes you feel your absolute best.